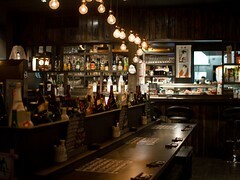 After enjoying a delicious meal at Aoyama, I chatted with the server as we settled our bill. 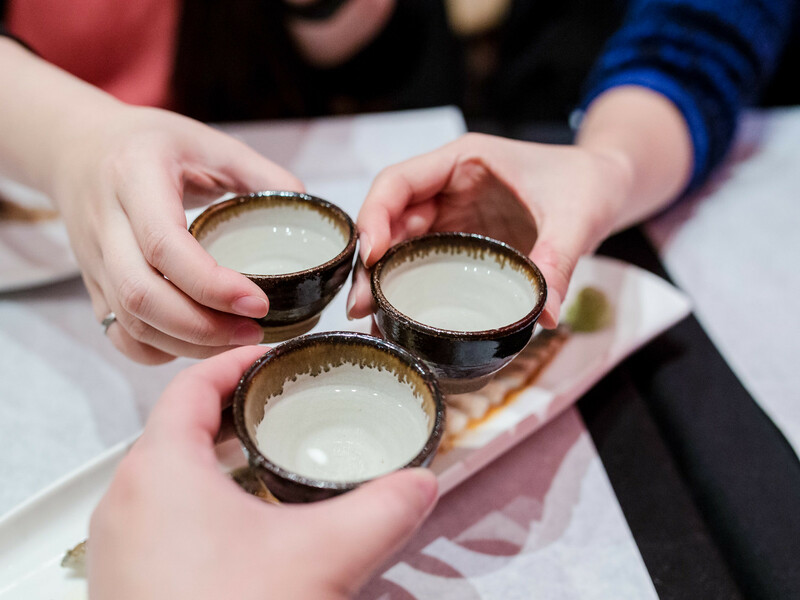 We talked about other Japanese restaurants I liked in the city and she recommended Shinobu, a North York restaurant that was already high on my list of places to try. 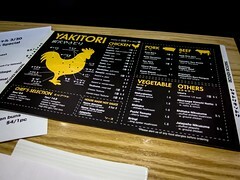 Friends who lived in the neighbourhood often listed the restaurant as their favourite spot for Japanese. I finally had the chance to visit for our second birthday meetup. 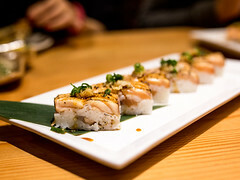 Atmosphere: Located north of Lawrence on Yonge, Shinobu was a warm and cozy restaurant. Tables were packed tight but arranged perpendicular to each other, creating a sense of privacy. Many of the diners were regulars who ordered with only a cursory glance at the menu. Service: Our server was friendly and efficient. We wanted to order the supreme assorted sashimi plate, which was for two people. We asked if there was an option to add pieces for an additional price to accomodate 3 people. The sushi chef offered to cut the fish into 3 thinner pieces for us at no extra charge, a great solution that allowed us to order more sashimi a la carte. Plates arrived quickly and any dishes that needed to be torched were finished at the table. I would recommend making reservations, that are only taken over the phone. 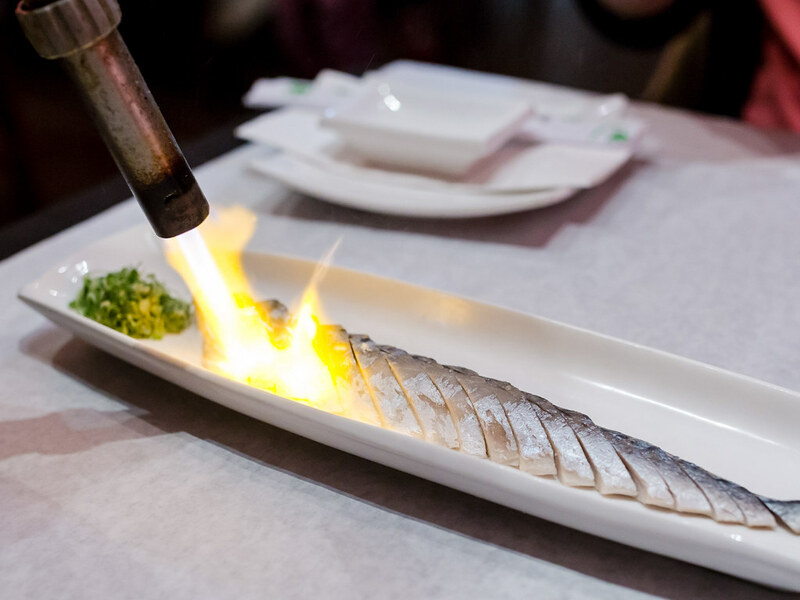 Food: From the cooked section of the menu, we ordered the torched mackerel and assorted tempura. 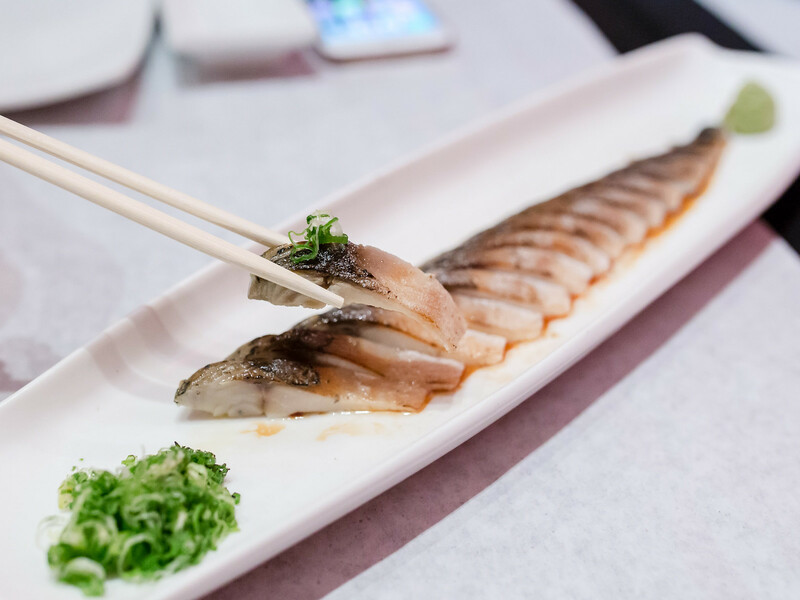 The cured mackerel was flavourful, topped off with a light soy sauce and served with thinly sliced green onion. 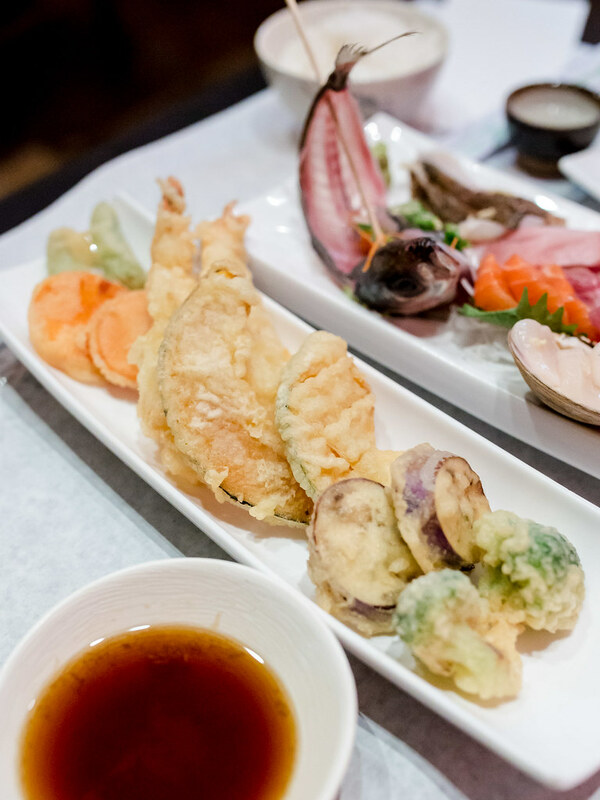 Included in the assorted tempura was shrimp, eggplant, snap pears, pumpkin, broccoli and yam. A standard selection that was very crispy fresh. 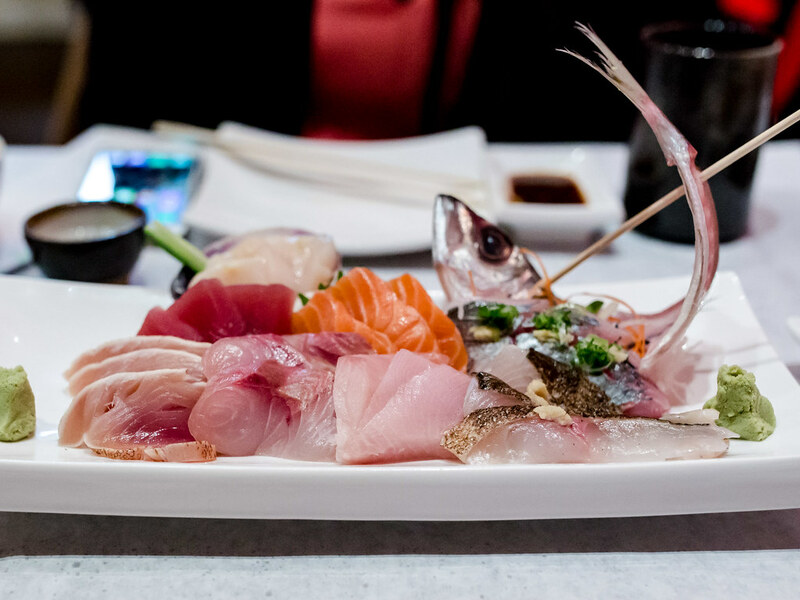 Next up was the raw items including the supreme assorted sashimi platter ($35). 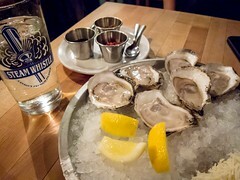 Both the quality and selection of fish were excellent from wonderfully sweet scallop to buttery fresh salmon. All of the pieces were fresh, sweet and had a great texture. The tuna was firm and the scallop silky. 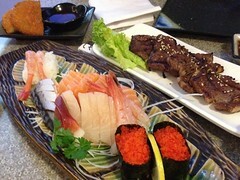 In addition to the platter, we ordered chutoro and sweet shrimp. At Shinobu fish from the a la carte menu could be ordered either as 2 pieces of nigiri or 3 pieces of sashimi, perfect for our party. 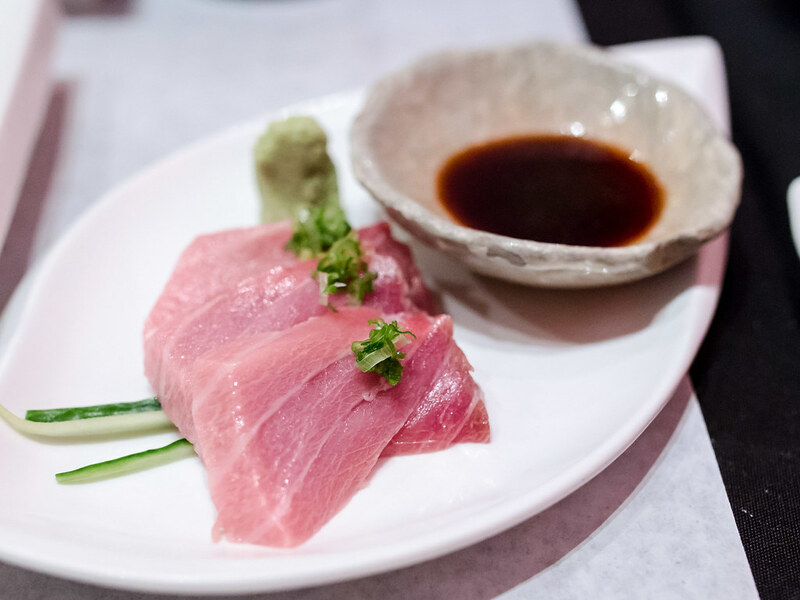 The generous pieces of chutoro were beautifully marbled and buttery. 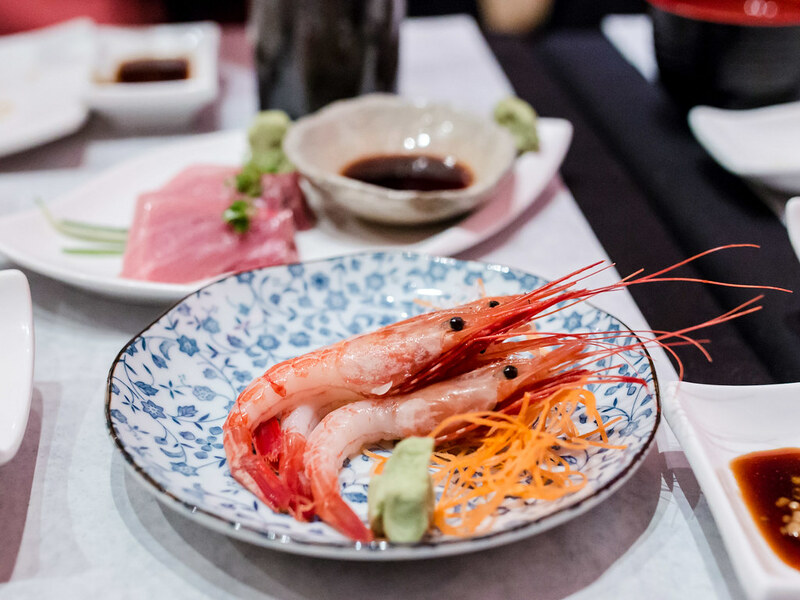 Sweet shrimp is one of my favourite types of sashimi and I was very happy to see the fish available at Shinobu. 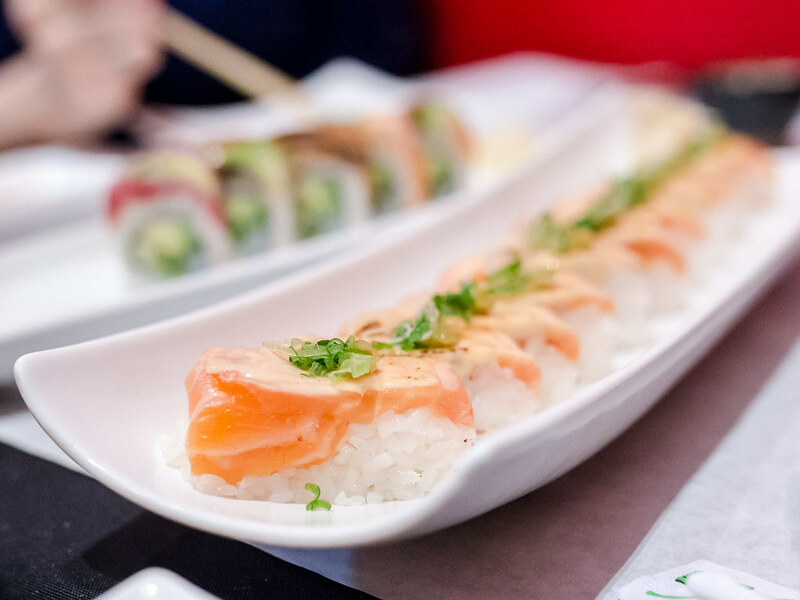 For rolls, we tried Volcano Rainbow roll, Pressed Salmon (daily special) and Hotate Dream Roll (spicy salmon and scallop). 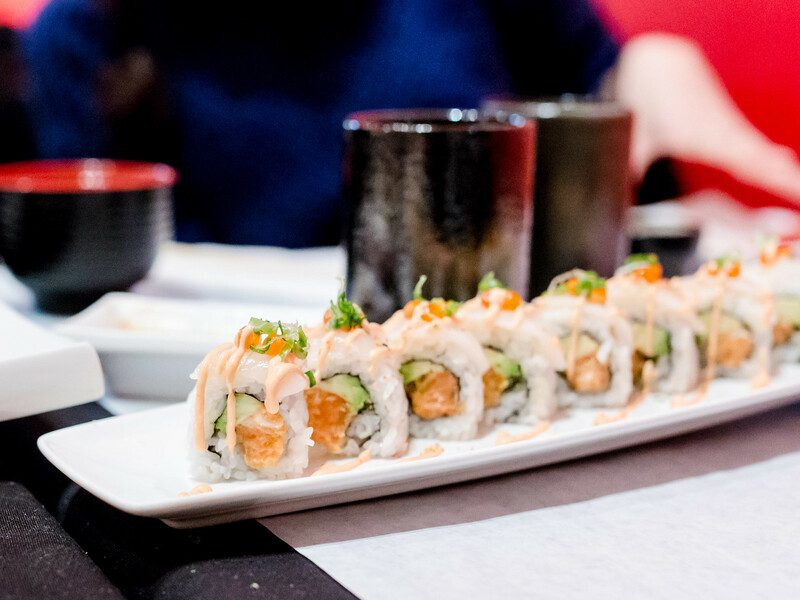 All three rolls were simple and tasty without the clutter of too many ingredients. Similar to the sashimi, all of the fish used were fresh and high quality, especially the scallop. The rolls were filling and each had 10-12 pieces. Prices ranged from $10.50 to $15.00 for the spider roll and $16.50 for the lobster roll. Overall, dinner at Shinobu was excellent for the price and quality. 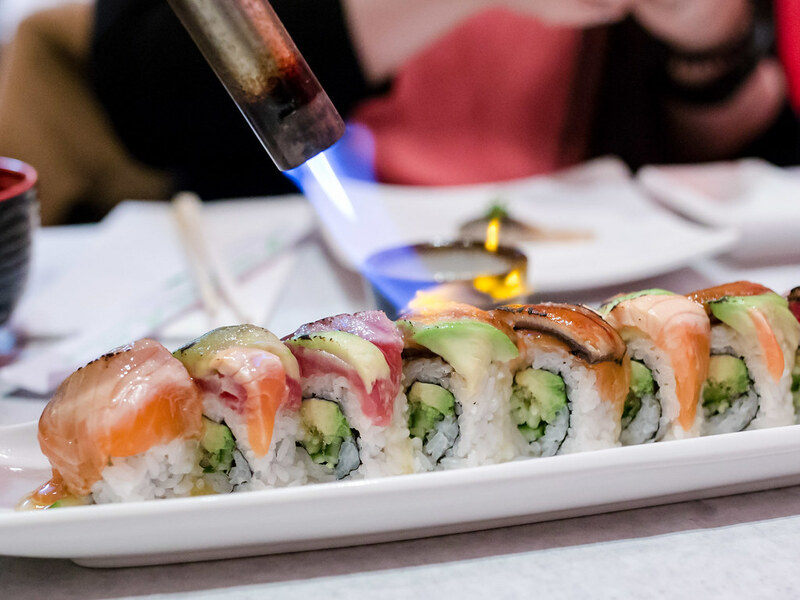 The sushi menu items cater more to individuals and couples rather than large groups. I would love to be able to order a larger omakase style sushi or sashimi meal.